Iconic War Memorial Hall 880 X 1470 with smaller side room, Stage, Changing rooms, toilets and kitchen. The basic kitchen includes; microwave, fridge, domestic cooker, 3 Tea urns, kettle, cups and saucers, glasses etc. Ramps for disabled and large disabled toilet. 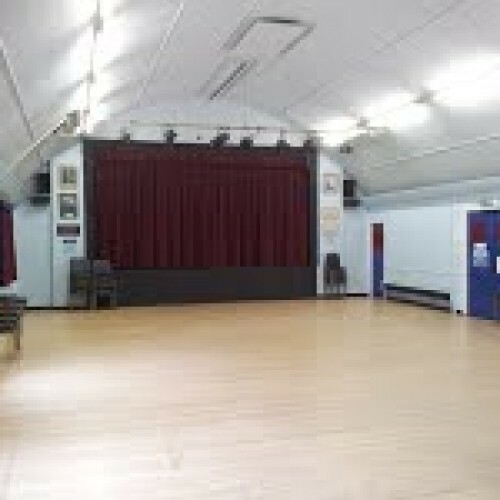 Our community hall is used for a wide variety of events and is available for hire. Great for parties, clubs and societies. Check our our facebook page www.facebook.com/broadstonewarmemorialhall or web page www.broadstonewarmemorialhall.co.uk or phone the bookings secretary for more information on 07543 963377. Availability: Available Tuesday mornings, Wednesdays mornings from 11.00 a.m. Thursdays 10.45 a.m. to 6.15 p.m. For other availability please check out our web page and click on calendar. There have been 3 reviews of Broadstone War Memorial Hall. Booked for a first birthday party and hired a soft play with another company, still plenty of room in the main hall. Also has a smaller room to the side which was great for the little ones when they needed a nap. Great kitchen facilities. Lots of tables and chairs. Bridget - Booking secretary - is great to liaise with, quick at replying and extremely helpful. Great location. Would use again. Lovely large hall with great spaces and a really good kitchen! Easy parking facilities and the hall is in a great location in broadstone. This is the second time we have used this hall and Bridget is so lovely and easy to deal with. Will be using again in the future! 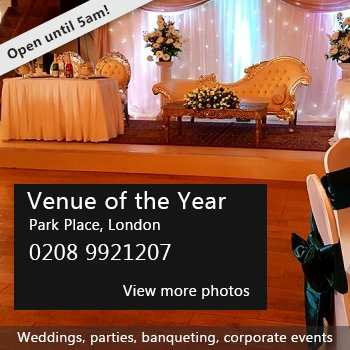 10% off bookings between Thursday 22nd December to Tuesday 3rd January 2017. Excluding 31st December 2016. Offer subject to availability. If you would like to send Broadstone War Memorial Hall a booking enquiry, please fill in the form below and click 'send'. Perhaps some of the following halls within 5 miles of Broadstone War Memorial Hall would also be of interest?